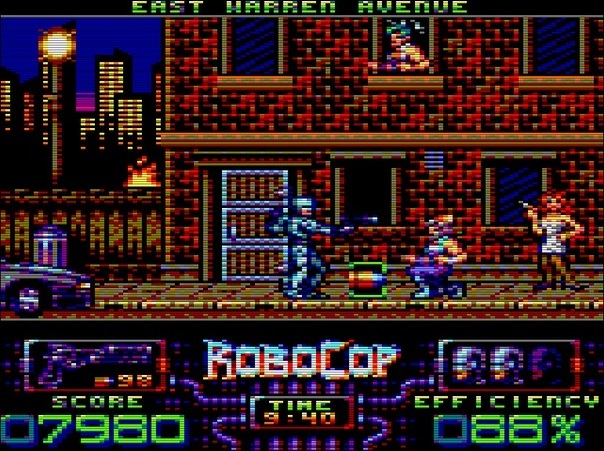 Indie Retro News: Robocop Prime - Another Amstrad CPC styled game by Carnivac gets an update! 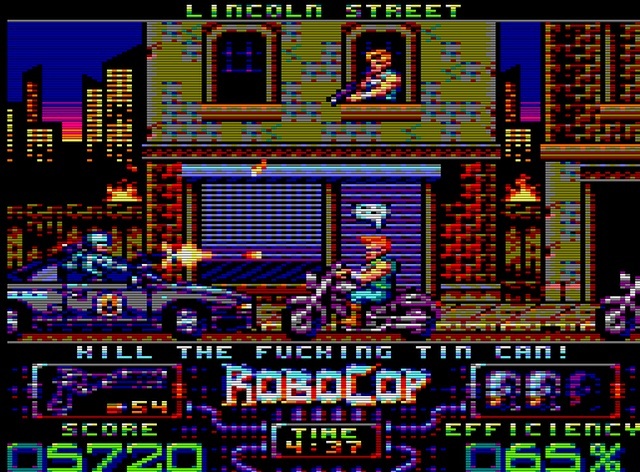 Robocop Prime - Another Amstrad CPC styled game by Carnivac gets an update! I must admit when it comes to games that are developed in a style similar to classic computers, Carnivac is one to impress. Although I have yet to play a game from Carnivac, he has so far shown us two highly detailed games that are in development for the PC, but hoping to have it ported over to the Amstrad CPC. Two of those games are Cosmic Commando and Roland of Sherwood. However today's update is for another game we've yet to give a good mention to, is Robocop Prime, which the developer has noted is still being worked on in two new screenshots. 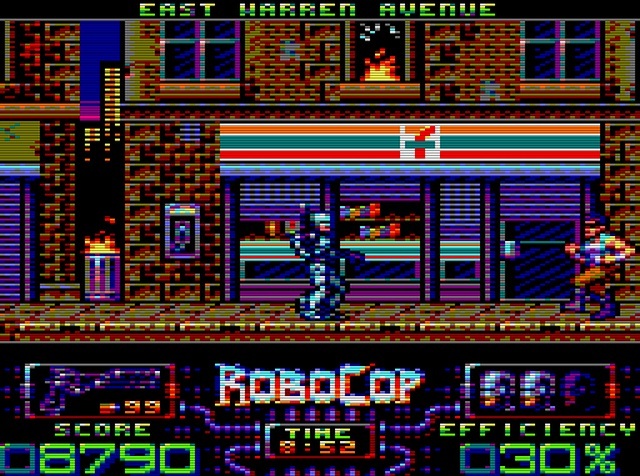 According to Carnivac from a very early post, this RoboCop fan game will be made using Game Maker Studio to the graphic specs of the Amstrad and the one he spent many hours playing Ocean's classic RoboCop from the late 80's. In regards to Gameplay, it will be mostly that of the original game but with all new graphics and some new gameplay features and a sort of 'story' and references with most screen-versions of RoboCop though it's 'canon' is set after the events of RoboCop 2. Just like the previous games we've told you about however, we still don't have a release date confirmation, but from what we've seen in the screenshots and the current development cycle, I am eagerly awaiting the day all of these games see the light of day!